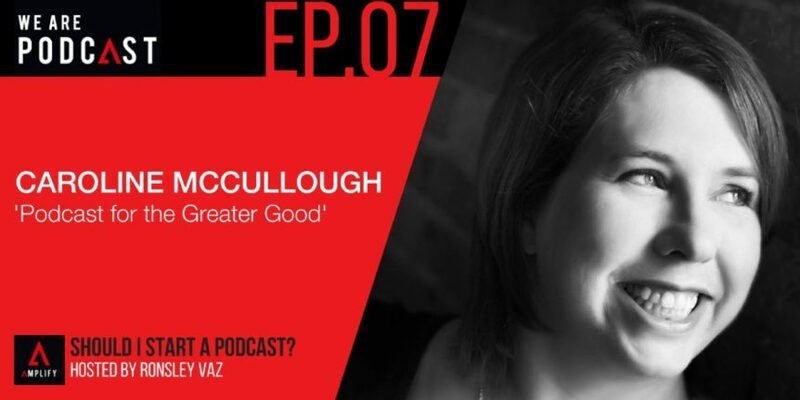 Cas McCullough is a content marketing strategist, and author of Your Brilliant Un-Career: Women, Entrepreneurship, and Making the Leap. Cas specialises in helping purpose-driven women business owners and entrepreneurs out of the marketing maze, so they can focus on building meaningful and profitable connections using brilliant content, social media and permission-based marketing strategies. Her consultancy (formerly Content Marketing Cardiology) was listed as a top 100 business in the Anthill Cool Company Awards in 2014 and Cas is a sought-after guest blogger having contributed for Social Media Examiner, Content Marketing Institute, Bluewire News and Startup Smart. Cas is the host of the Your Brilliant Un-Career and Brilliant Content Ideas podcast shows. What needs to be changed by women in terms of entrepreneurship? Caroline’s anxiety talking to people before and how podcasting help her to get through it? What can she say about successful podcasters? How to measure the ROI? What to expect on Brilliant Un- career? Why podcasting becomes hot all of a sudden? “I guess podcasting is hot because we all have devices and it’s already a monetized audience and I think that’s the big thing that a lot of people overlook. I know a lot of people learned differently and there are visual podcasts as well like YouTube and all kinds of other things and there are always going to be place for that absolutely because people love the visual but audio is so convenient.